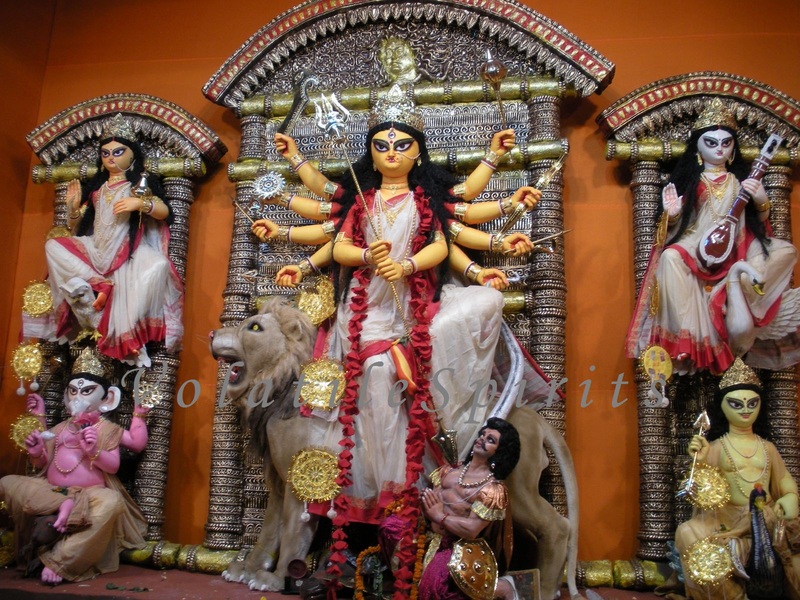 A year in a Bengali’s mind is typically from one Durga Puja to the next one, irrespective of exact dates. This is the biggest festival of West Bengal and Bangladesh – mythological background being when Goddess Durga visits her parents on Earth. It signifies the overpowering of good over evil, wherein the Goddess is usually portrayed in a pose slaying the mighty devil, Mahisasura. Along with her, her four children (Goddess Lakshmi and Saraswati, Lord Ganesh and Kartik) can also be seen. Creativity of artisans is showcased in beautiful idols, pandals and overall decorations. Would you believe it that preparations start months ahead of the festival, and watching the city get decked up gradually in anticipation of all the fervour is an experience in itself. There are many awards to recognize such amazing skills, given by various companies. These add to the excitement! 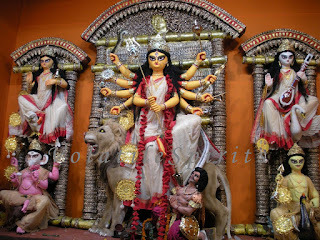 Only one leave in my yearly leave plan is fixed – my visit to my hometown, Kolkata during this ten-day festival. This is the time to catch up with family and friends, go around the city watching the decorations, eat, drink and create many fond memories. Not to mention, a complete overhaul of my wardrobe!